Blend raw mango, green chilly, salt, sugar, cumin seeds together and make smooth paste. Squeeze grated onion, remove excess water. Mix smooth paste and grated onions, mix well. 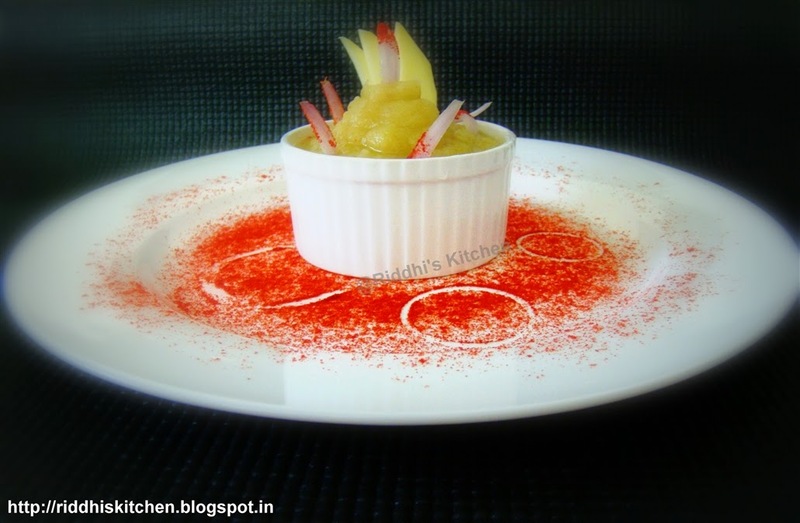 Garnish with onion slices and raw mango slices.